Life sciences companies are on a constant quest to get the right therapy to the right patient. Healthcare providers, acting as the conduit for delivering the therapy, are key partners for the life sciences industry. However, as healthcare data is growing exponentially, life sciences companies need a trusted partner that can simplify the task of wading through huge data volumes to find the right healthcare partner. Having deep expertise in organizing and visualizing global health data, Zephyr Health is a company helping life sciences companies engage the right physicians, accounts, and institutions. 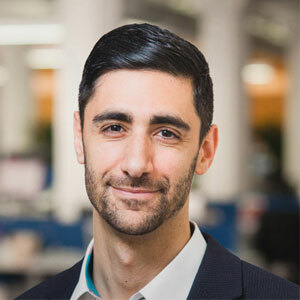 “Integrating data from those data sources that historically have not been brought together, we are able to develop incredible insights for our customers,” says David Azaria, VP of Engineering of Zephyr Health. Zephyr Health offers state-of-the-art analytics through their proprietary enterprise solution, Zephyr IlluminateTM, enabling clients with eagle-eyed visibility. Delivered as Insights-as-a-Service, Zephyr Illuminate combines hard-to-link data sources available in the public domain with customer data and third-party vendors data to deliver profound insights. With these deep insights, life sciences companies can better segment their target accounts based upon key attributes such as research, influence, treatment, and engagement. Using Zephyr Scores, which identify, score, and rank healthcare providers (HCPs) and Healthcare Organizations (HCOs) against their peers based on all the attributes, Zephyr Health’s customers can zero in on physicians regarding specific insights and gain a rich and relevant profile of the physicians they want to partner with. This enables market opportunity analysis, wherein companies can easily discover market trends, anomalies, and patterns to act upon them quickly. Besides, ‘Zephyr Recommendations’ gives field teams predictive ‘next best’ actions to help optimize targeting and productivity. Zephyr Illuminate is also fully mobile and platform agnostic, giving users the ability to access relevant information through the web or the Zephyr Health API on mobile devices. To illustrate, Zephyr Illuminate was used by a major pharmaceutical marketing company to increase referrals and nurture existing referring physician relationships. With Zephyr Illuminate’s advanced segmentation capabilities, the client identified referring and potential referring HCPs, and those with a high historical referral score easily. Marketing teams quickly found HCPs with a high referral potential score, and a high referring history, yet had low engagement. Within minutes, the marketing team was able to analyze the attributes of high-potential referrers and determine targets via personalized messaging. Zephyr Illuminate’s comprehensive profiles helped the client uncover affiliated accounts and find an HCP that had a high propensity to refer patients for this product. Viewing top ranking accounts—in physicians’ networks, high volume of potential referral patients and high treatment experience of nearby accounts—the marketing team developed a new targeted campaign for affiliated accounts as well. The client then shared the target list of high potential referring physicians with an extended marketing and sales teams to help field facing teams engage with more, high potential physicians. The team using Zephyr Illuminate achieved 30 percent higher revenue from increase patient and physician referrals. Striding ahead, Zephyr Health aims to increase the use cases of predictive insights for field teams. The company is bringing brand new interfaces for web and mobile that highlight data as it changes in the system and provides that data to clients in the form of a feed. Enriching the platform with new data sets and improving their robust API offering, Zephyr Health ensures that the platform is scalable with increasing data as well as growing base of customers and end users.